Kids Camp is coming up. If you have a child (ages 10-17) with special needs, please submit your scholarship application soon. A seat cannot be awarded until all forms are completed and returned to us. Sponsored seats are limited. Sponsored by National Parks Conservation Association (NPCA), iTiles, and Aquanauts SCUBA Academy, this camp is a great experience. Don't let your child miss out on this opportunity! 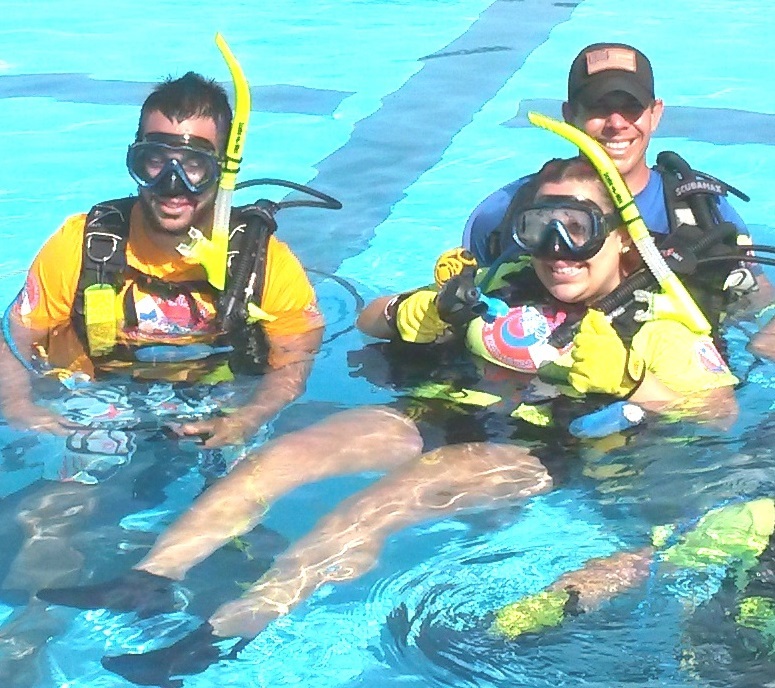 FREE for Disabled, Military Veterans, and Special Needs participants (Non-Divers) will have the opportunity to Discover SCUBA Experience (DSE) in the pool. Experience breathing underwater for the first time! Weightless underwater like an Astronaut in outerspace! Complete a Discover SCUBA Dive and feel the "Empowering Spirit of Freedom" dive. 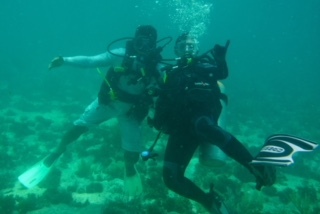 Dive assisted by Volunteers who are trained Buddy Divers (HSA) with Adaptive SCUBA Programs. No experience required for this lesson! This lesson MUST be completed confidently prior to ocean experience. Sponsored by: AQUANAUTS ADAPTIVE AQUATICS and AQUANAUTS SCUBA ACADEMY. Veterans and Individuals with disabilities are welcome to bring their family and friends with them to participate for a discounted rate. If you would like to go experience SCUBA Diving and are NOT a veteran or individual with a disability, you can purchase this experience to be scheduled through AQUANAUTS SCUBA ACADEMY. Volunteers: Do not register on eventbrite, rsvp on the AQUANAUTS AMBASSADORS app in band. Service Project! April 28, 2019. 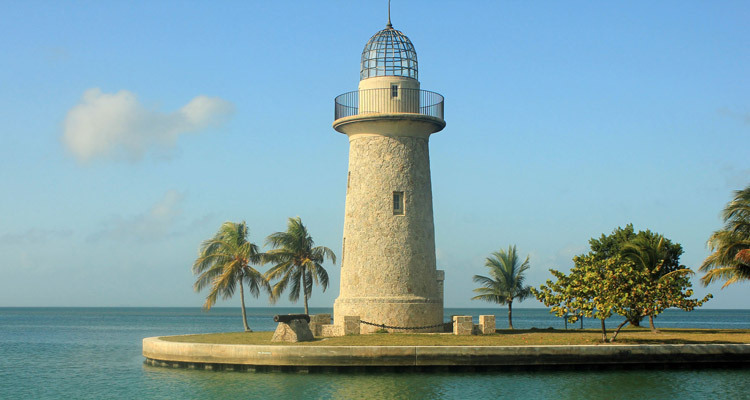 Come help us clean up Boca Chita Key Lighthouse. Still room for volunteers. Register soon! www.Adaptivescubaprograms.org/VolunteerRegistration. 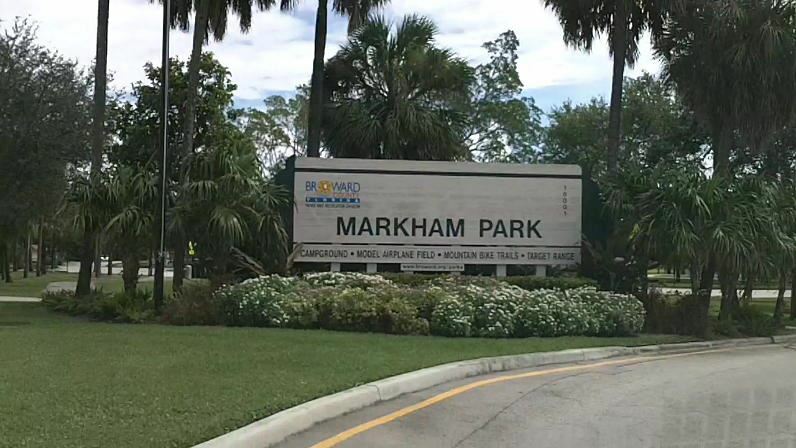 Memorial Rehabilitation Institute and AQUANAUTS ADAPTIVE AQUATICS collaborated to bring to our community the 5th Annual Adaptive Sports & Recreation Expo at Markham Park in Sunrise, Florida. The event featured a wide variety of sports and exercises beneficial to the physical and mental health of those who have suffered strokes, lost the use of limbs, or are coping with traumatic brain and spinal cord injuries. Activities and entertainment was provided for a fun filled day for the entire family. Thank you to our volunteers and participants that dove on the Maritime Heritage Trail on March 23rd. Was a great dive! Beautiful conditions and our volunteers were able to clean up an entanglement hazard from one of the dive sites. Some great pictures from the event. A few are here, but you can find more on our facebook page. If you haven't come out to support our National Parks, watch for the next event! Upcoming events will be posted on www.AdaptiveScubaPrograms.eventbrite.com. Registered Volunteers: You will RSVP on the Band App. 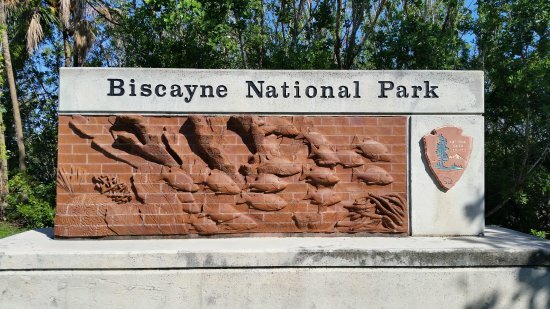 Come with us to get your hands dirty and help preserve a historical site in Biscayne National Park. For a change, we are going to be on land! We will be helping in the maintenance of the Lancelot Jones House, a rarely visited site in Biscayne National Park. Please RSVP and carpool details will be provided. 1) If you have not completed one previously (or if your information has changed), please complete Participant Registration Form. 2) Reserve a seat in the desired activity on our Eventbrite Page. Sponsored by National Parks Conservation Association (NPCA), it will be our first Kids SCUBA Camp for Children with Special Needs. There are sponsored spaces still available, so if you know a child with special needs between the ages of 10 and 17 that would benefit from this camp, please apply here: Kids SCUBA Camp Scholarship. The children that participate will not only have a week long fun activity, they will leave with a lifetime Open Water SCUBA Diver Certification as well as an understanding of Marine Conservation. 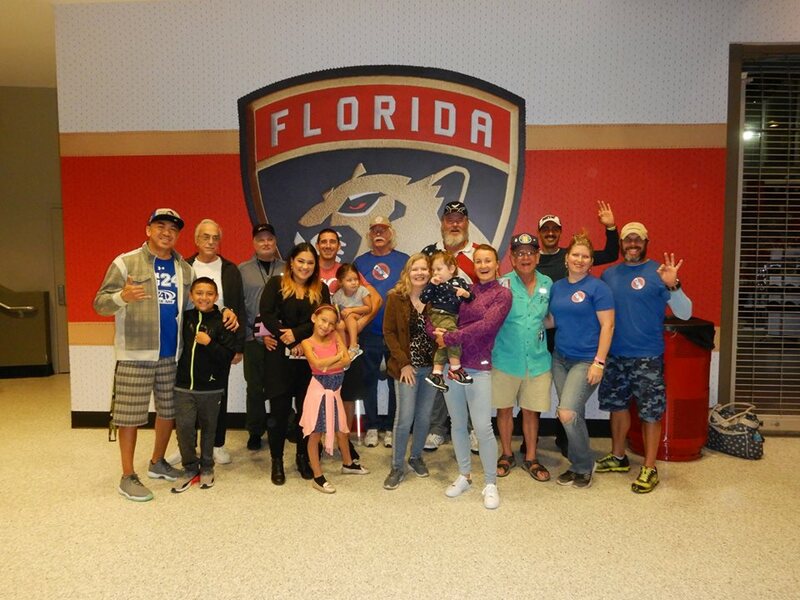 Thanks to those of you who came out to support Adaptive SCUBA Programs at the Spotlight hockey game on November 11th! A great video was premiered, showing the benefits of our program for veterans. A great big thank you to Maggy Idrobo Lopez (facebook.com/maggyvisual and @maggychang_ph). Thank you to the Law Offices of Scott Sobel for sponsoring 'Kids of Love' to come enjoy the game and get some time on the ice! 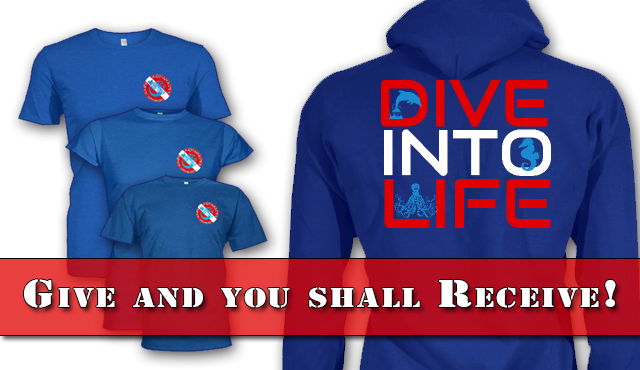 Dive Into Life Shirts Gone! SHIRTS ARE NO LONGER AVAILABLE. For those that ordered their shirts, you will be notified when they come in. Dive Into Life Shirts Back But Not For Long! Limited Edition Shirts and Sweatshirts gone soon! Window for ordering these limited edition shirts closes on Halloween. We will have a table at the event, and need volunteers to man the table. Still time to sign up for Buddy Disability Training Course beginning on October 19 (Friday). 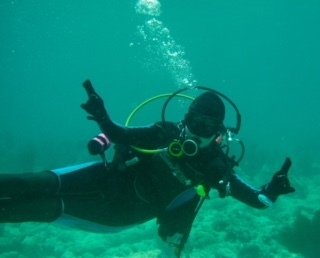 Test your SCUBA skills and get qualified to dive with individuals with disabilities. For those registered on the Maritime Heritage Trail Dive this Saturday (tomorrow), just a quick update. The dive is still scheduled to happen, although the water will NOT be flat. Expecting 2 to 3 foot seas. If you are not comfortable diving in or riding on a boat in those conditions, that is your call. Just let us know if you will not be attending. Red Algae Update: Again, the boat dive will happen. 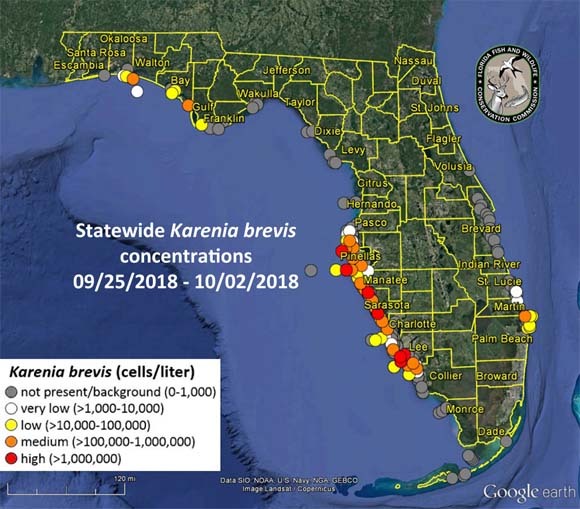 The last update (you can see this here: http://www.myfwc.com/research/redtide/statewide/) shows that the area we are diving is not yet affected by the Red Algae, picture here. 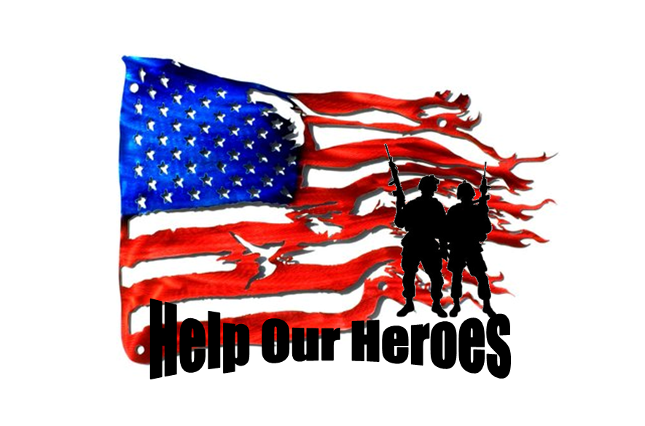 Sponsor a Veteran Program is in Distress! Unfortunately, we did not receive the VA Grant for Adaptive Sports this year. That means we're in desperate need of sponsors for our veterans to make use of SCUBA Diving as a recreational therapy. We will try again next year, but our military veterans need you. This year-long program is only $3,000 per veteran. If you can, or you know of someone who can, sponsor a veteran; please help. Being disconnected from service is a mental hardship affecting many veterans. This helps reintegrate them into civilian society and removes many of the environmental pressures. The Discover SCUBA activities are great, but they are a one day activity. What the Sponsor-a-Veteran program does is get them involved all year with a therapeutic activity that does not involve hospitals are treatment centers. What is more is that it sets them up to continue the activity after their year program is done. SCUBA Diving not only is great therapy for physical ailments and injuries, it is an ideal therapy for emotional and mental concerns like Depression and Post Traumatic Stress Disorder. Please help our veterans cope with the reintegration into civilian life with the help of healing ocean waters and nature. Please help by sponsoring, or sharing with your network of family and friends the need for this support. Do you know a veteran that you would like to sponsor specifically? We do allow directed donations, so you can earmark your donation to go to a specific veteran. The only limitation is that this program is conducted in the Fort Lauderdale, FL area. We will be expanding to other areas down the road, but right now, it is location specific. Donate Here. OR Sponsor the Program Here. This is a contest for a promotional video about AQUANAUTS ADAPTIVE AQUATICS. The winning video will have taken information from our website, social media page, you tube channel, etc. to create an engaging, informational video about our Adaptive SCUBA Programs. If you have experience with our program, feel free to use it in the video. The winner's video will be shown during the Panthers game on November 11, 2018. Register for contest through Eventbrite posting: https://www.eventbrite.com/e/promotional-video-contest-tickets-50574252952. Contest Videos should be emailed to info@adaptivescubaprograms.org with the subject line: Video Contest and Declare your shirt size in case of winning submission. All videos must be received by October 21, 2018 11:59p.m. All videos submitted become the property of Aquanauts Adaptive Aquatics to be used, shared, etc at the sole discretion of Aquanauts Adaptive Aquatics. First place: Fort Lauderdale, FL Boat Excursion (sponsored by AQUANAUTS SCUBA ACADEMY) and Dive Into Life Shirt. Thank you, Nicola and Itiles! This camp is going to happen June 17-21, 2019. National Parks Conservation Association (NPCA) has pledged partial funding for the camp. Thank you, Nicola and iTiles for helping to make this happen. This event is sponsored by National Parks Conservation Association (NPCA). Don't forget. If you have not already registered as a volunteer or participant with us, you will need to complete a registration form in addition to reserving the ticket for this particular event. Help us support our nations' parks! A shout out to Jordan Fund. Thank you so much for your support. 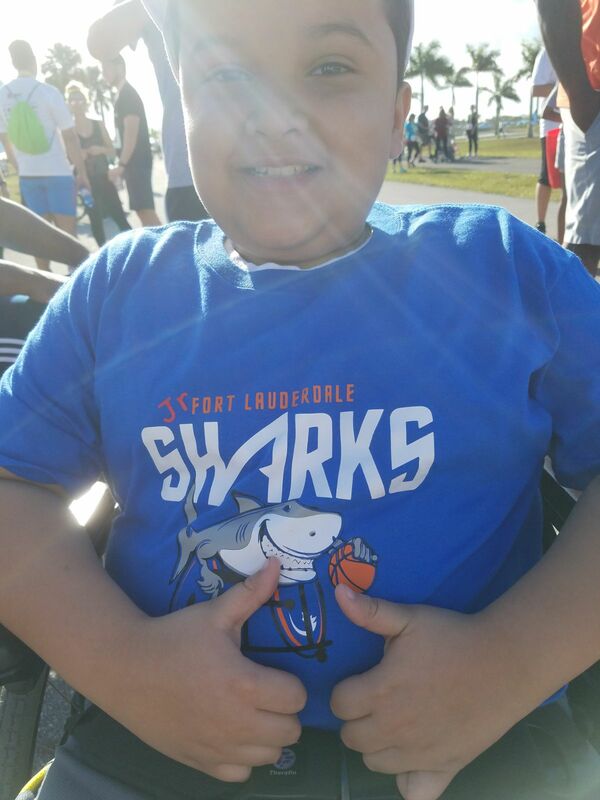 Thanks to the Jordan Fund, Jesus R. (age 10) will achieve his SCUBA Diver Certification! That means that Jesus can use SCUBA Diving to help with his physical therapy program in coping with spina bifida and just generally enjoy the underwater world! Volunteers: When Jesus is ready to move into the pool and then the ocean, we will put a call out for volunteers. Thank you for being there! Unfortunately, the Maritime Heritage Trail dive scheduled for September 3rd, Labor Day, has been postponed due to conditions. Captain is expecting 5-6 foot seas. We look forward to seeing you on the next one. Thank you for your patience with us and mother nature. Join us for a Panthers Game! Join us for a Panthers game! 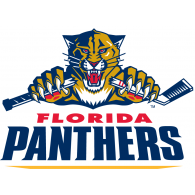 November 11th we will be the organization featured in the Senators vs Panthers Game. Your ticket purchased will show support for our organization. In addition, ALL tickets purchased through this link will include parking as well as a shot on the goal after the game! Different levels of tickets are available. Highest level is the Corona Beach House which will include food, wine, beer, and soda. A big thank you to National Parks Conservation Association (NPCA)! They have committed to sponsor 5 kids for the first Kids SCUBA Camp for special needs and underprivileged children. We have room for more sponsors to make this camp happen. Please spread the word and help us make this a great program for the kids. Thank you NPCA, you rock! Big news! We are in final stages of approval for a new pool to conduct Discover SCUBA Experiences! What that means is that the regular FREE Discover SCUBA Sessions for veterans and individuals with disabilities will resume! Don't forget to get your BBQ tickets for this Sunday, August 12th! Show your support for our awesome volunteers! 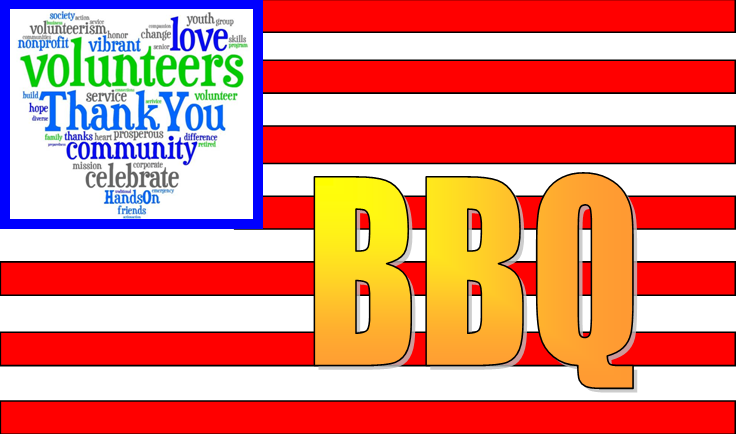 Volunteer Appreciation BBQ will take place from 11:00am to 2:00pm in Oakland Park, FL. Enjoy the delectable food from Mission BBQ! Unfortunately, the August 4th dive has been called for inclement weather. We will post the reschedule date soon. Don't forget the Volunteer Appreciation BBQ is happening August 12th. Hope to see you there! August 12, 2018 - Sunday, 11:00a.m. to 2:00p.m. Volunteers register for a FREE ticket at the ticket link. Society Members register for a FREE ticket at the ticket link. 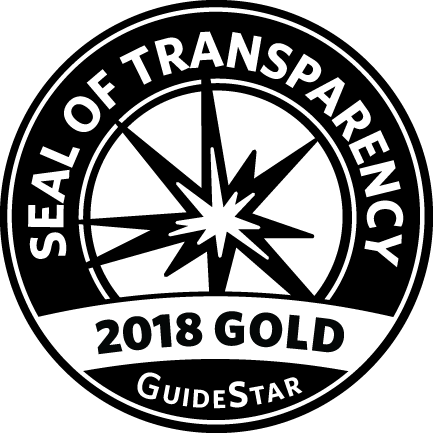 AQUANAUTS ADAPTIVE AQUATICS was recently recognized for our transparency with a 2018 Gold Seal on our GuideStar Nonprofit Profile! Thank you to everyone who came out to do the Maritime Heritage Trail Dive. It was a great day! Thank you to National Parks Conservation Association for giving us the opportunity to help support our nations' parks. Quick reminder to our divers, please email your surveys as soon as possible. A thank you to Michelle for sharing some of her pictures from the event. Check them out! We look forward to seeing more! Share your experience here! Your shopping matters. This Father's Day, shop for Dad at http://smile.amazon.com/ch/46-3960661 and Amazon donates to Aquanauts Adaptive Aquatics Inc.
All event participation for volunteers and/or participants will be on Eventbrite tickets. If you do not reserve a ticket, you are NOT on the roster. This is an attempt to better track attendees and support for these events. We appreciate your help in this matter. Diving Emergency Management Provider Course practical portion is happening this evening from 6pm to 9pm. Please arrive by 5:30pm if possible. If you have not yet completed your academics, please show for the practical portion anyway. Then, once both are completed, you will receive your certification. Dive for May 28 is a no go. We were holding out hope, but the winds pick up tomorrow rather than abate by the looks of it. It has been postponed. We will notify everyone of the reschedule date when we have it confirmed. Dive accidents are rare, but they may require prompt, specific action. No single set of skills will meet all the various demands a dive accident may present. 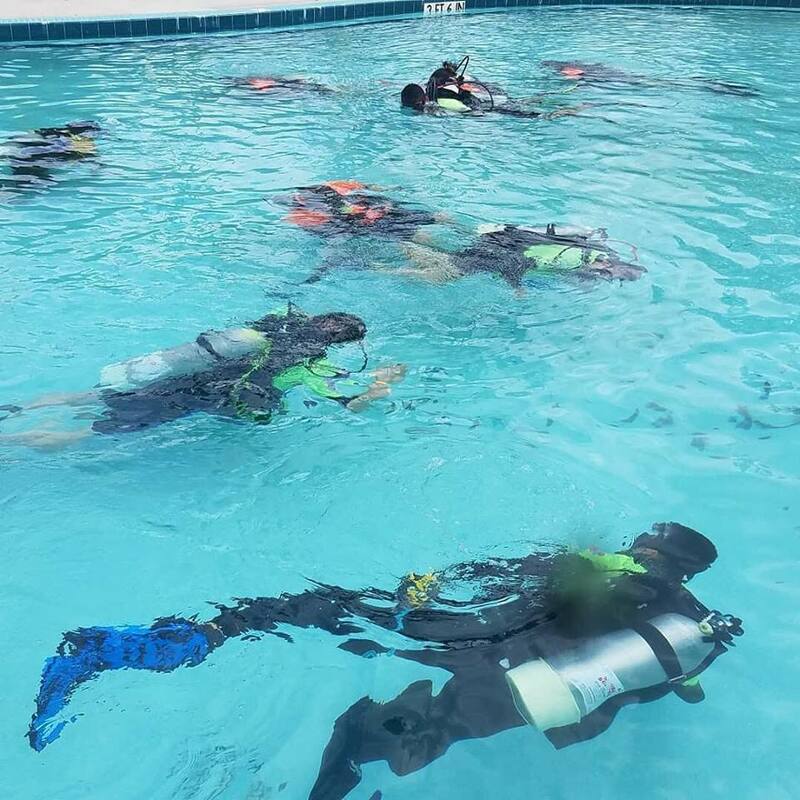 The Diving Emergency Management Provider (DEMP) program combines skills from four first-aid courses offered by your instructor to streamline and put into context the care that may be necessary. This course is FREE for volunteers that have logged a minimum of 32 volunteer hours with Aquanauts Adaptive Aquatics within the last year. Otherwise, there is a purchase option at the ticket linket. You will complete your academic portion online (invitation will be received upon purchase), and then your practical portion will begin on this date at the location below. Again, complete your academics prior to arrival for practical portion. 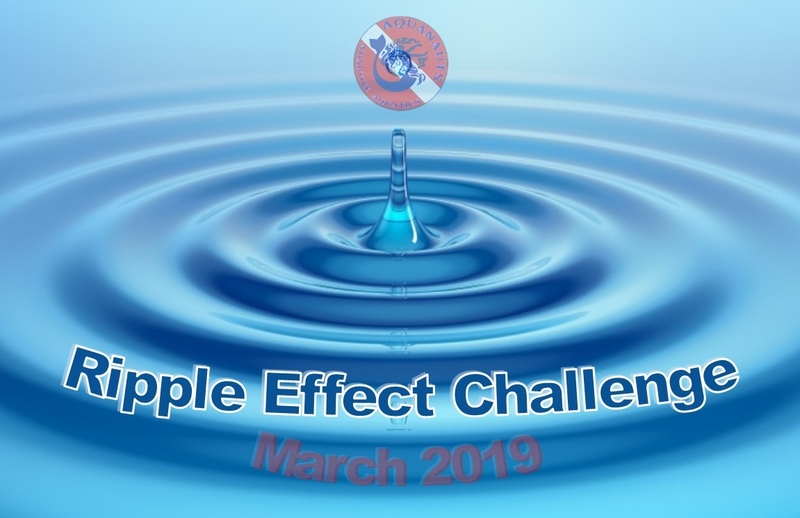 IMPORTANT: To qualify for the sponsored ticket, you must be a volunteer with Aquanauts Adaptive Aquatics AND have logged a minimum of 32 volunteer hours within the last year. If you are unsure of your volunteer hours logged, please contact us at info@adaptivescubaprograms.org to verify. The Maritime Heritage Trail Survey Dive (sponsored by National Parks Conservation Association-NPCA) is coming up on May 28, 2018. If you are on the roster, you have received a confirmation email with departure time, location, etc. If not, you have either not informed us that you are coming and/or you have not completed a volunteer registration. Space on the boat is filling up fast. If you would like to participate, please make sure you complete the necessary steps. Next Buddy Disability Training is coming up on June 15-17, 2018. There are limited scholarships for this activity. Please complete your scholarship application on our website if you are interested in a scholarship for this training. Event Page on Facebook. If a scholarship is not immediately available, please keep in mind that we do accept directed donations. If you can obtain your own sponsor for the training, we will apply that funding as the sponsor requests. For example, if your company supports volunteer activities and will sponsor you to receive the specialized training, they just need to let us know it is earmarked for your development as a volunteer. Your company can see details about making this donation here: Corporate sponsorship. Congrats to Mission United for celebrating their 5-Year mark! 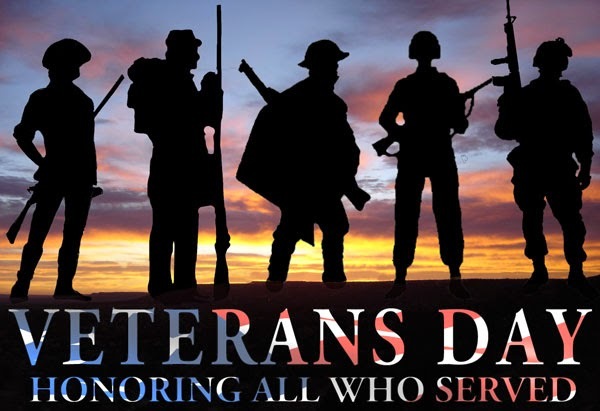 We appreciate your support for veterans in our community. Your mission is inspiring. Thank you for allowing us to be a part of it. MISSION UNITED supports United States military veterans and their families as they re-acclimate to civilian life. MISSION UNITED focuses on employment services, legal assistance, education, financial services, health & housing support. Find out how MISSION UNITED can support you and your family. Click here: http://ow.ly/xq9T50hfj02 or calling 954.4.UNITED or email MISSIONUNITED@UnitedWayBroward.org. VETERANS, GET THE HELP YOU HAVE EARNED! So, after many long days, we have submitted a grant application to the Veterans Administration. We will know by September if we are able to obtain funding. If so, it could mean a comprehensive SCUBA Recreational Therapy Program for veterans with disabilities. 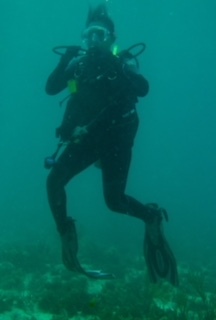 Since SCUBA is a great treatment for many impairments, like PTSD and Spinal Cord Injuries, etc. we are really looking forward to making these programs more available. Power of positive thinking! Help us make it happen. In the meantime, we would love to hear your testimonials on SCUBA Diving as a therapeutic program. Share them on our facebook page (www.Facebook.com/AdaptiveScubaPrograms) or any of our other Social Media pages. Also, check us out on Guidestar and share your stories there. These stories go a long way in securing funding to keep the program going. You should have received your April newsletter with the recaps and some upcoming events. April was a full month! 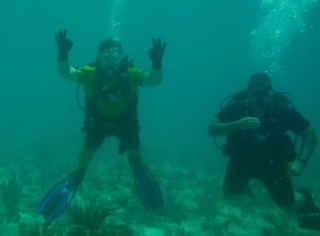 We got a number of individuals with disabilities utilizing SCUBA diving as a therapeutic program. It is a great therapy as the activity provides for the increase in the production of serotonin delivered to the spine. This results in increased mobility, a lessening in pain, and elevating mood. It is really an all-in-one therapy. We got some great new volunteers trained and ready to go, and solidified partnerships. We got some great momentum going! Check it out. If you have not subscribed to our email updates, you can see our latest newsletter here: https://conta.cc/2Fp5uwV. We would really like to thank Mission United for partnering with us to submit a funding request to the Veterans Administration. With luck, this will provide several scholarships for Dive Therapy Programs for disabled veterans. You can help us obtain this funding! We are in need of letters recounting veterans personal experiences and how SCUBA Diving has helped them cope, lessened pain, etc. How has it affected you? If you are a spouse of a veteran and SCUBA Diving has helped your husband or wife, please share this too. We need your personal stories to help explain why this is such a great therapy program. If you have a story to share, please email Serena Barghahn at serena@adaptivescubaprograms.org. We thank you for your time in helping us expand this program. 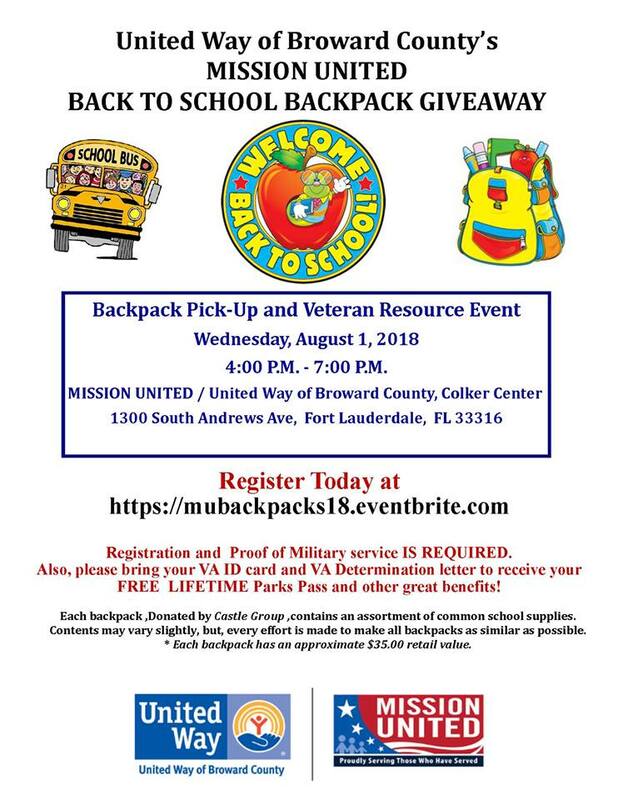 Remember, Mission United has many resources to help veterans. If you are struggling with anything, contact them. There is likely help available for you. Congratulations to our newest volunteers that have just completed the Buddy Disability Training Certification Course. Your humor and dedication is inspiring, and we look forward to seeing you at our upcoming events. A huge thank you to the scholarship sponsors from this session. NATIONAL PARKS CONSERVATION ASSOCIATION (NPCA) sponsored two of our new volunteers. 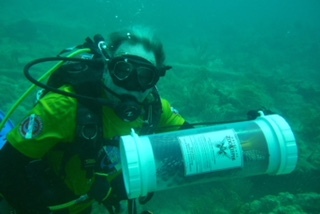 AQUANAUTS SCUBA ACADEMY sponsored one of our new volunteers. MISSION UNITED sponsored use of the meeting room. The support of these organizations are invaluable. Thank you for being involved in your community. One of our sponsors from this training, AQUANAUTS SCUBA ACADEMY, is holding a Rescue Diver Class next month. It is a coveted skill set for our primary volunteers. If you have not yet obtained that certification and would like to, check out their course. 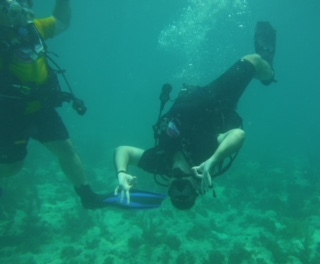 You can purchase the course here: http://www.aquanauts.biz/RescueDiverRegistration. In this new age, don't forget, many employers have a matching program. Ask your employer about this and double your impact! With Social Responsibility becoming more and more crucial for businesses, it is more likely your employer may want to support what is important to their employees. Tell them about AQUANAUTS ADAPTIVE AQUATICS. We need involved citizens to help us spread the word. Keep in mind, we are in need of volunteers to take a more active role in the non-diving activities. If you are willing to participate in a committee, please contact Serena at Serena@AdaptiveScubaPrograms.org. Volunteers are the life-blood of this organization. It was a great meeting. Very informative. If you missed it, don't miss the next one! Our partner National Parks Conservation Association (NPCA) is doing great things toward preserving and maintaining our nations' parks. It is always good to make your voice heard. We have to make sure that the parks are there maintained and preserved for generations to come. You can always check out their website at www.npca.org to see how you can help. Thank you to NPCA, MISSION UNITED, and MISSION BBQ for making today happen. Please share the video, and let people know what is happening. Just a reminder. The Park Advocacy Workshop is happening tomorrow! It will be held at the Mission United Building and begins at 10:00am. We will have Krispy Kreme for breakfast and Mission BBQ is providing lunch! We're going to have a great time and find out what threats are looming for our nations' parks. Come support our partnership with National Park Conservation Association (NPCA) and find out how you can help protect our parks for generations to come. Those you who have already registered, thank you! We appreciate your support and look forward to seeing you tomorrow. If you have not yet registered, there is still space available. Just click the ticket link in our Facebook event page: https://www.facebook.com/events/162993831177538/ to reserve your seat. It was a great day at the 4th Annual Memorial Rehab Adaptive Sports Expo!!! Thank you so much for everyone who came out to make it a fun and safe event. And a big thank you to the folks that came out to try something new. An event organized by Memorial Regional Hospital. We appreciate the opportunity to be a part of it. Please check out the photos from the event! MEMORIAL REHAB for including us in this wonderful event again. 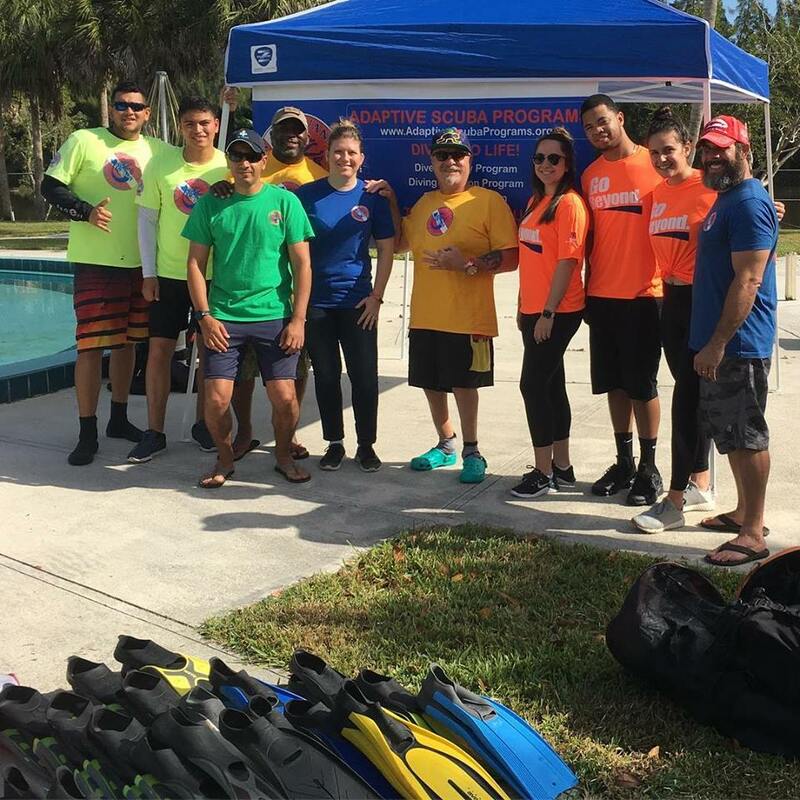 Nothing brightens our days more than being able to bring the joys and benefits of SCUBA to more people in our community. AQUANAUTS SCUBA ACADEMY for providing the equipment and know-how, as always. DJ INFANTRY for helping us to spread the word, and don't forget to check out his video of the event. MOST OF ALL.... OUR VOLUNTEERS! You are the lifeblood of this organization. The commitment to your community and your commitment to training that helps these events happen is invaluable. We especially thank you for your time and energy.